"The documentary was a powerful tool to inspire the children to think a little out of the box, past their school life. I hadn’t realised how strong prejudices were from both sides. I believe the media creates these. But stereotypes older people had around young people were challenged when they interacted, and equally, when the students saw the film, they definitely changed their mind. Now 20 pupils are signed up to be involved in intergenerational work, which is really great." The Ping Pong Care Campaign aims to challenge current stereotypes around ageing. To do so, we are engaging young people across the UK by providing FREE learning resources and by encouraging intergenerational activity. To make use of the lesson plan and kick start your school's involvement in the campaign, email Gemma on gemma@britdoc.org, with the email subject: ‘Ping Pong Care Campaign’. What is our schools engagement programme? 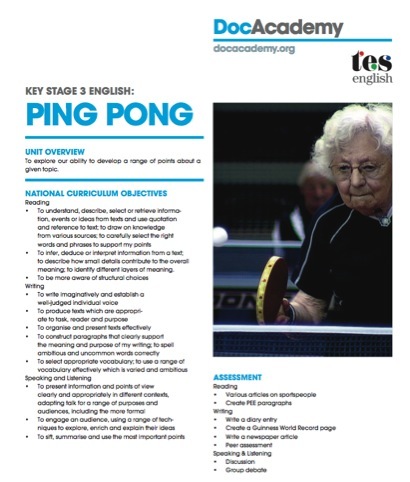 Our schools engagement programme involves using our FREE Ping Pong Lesson Plan, written by a professional teacher, overseen by TES English and tied to National Curriculum objectives at Key Stage 3. The lesson plan includes activity based around FREE short film clips of the Ping Pong film, tailored to a classroom setting. To make use of the lesson plan and kick start your school's involvement in the campaign, email Gemma on gemma@britdoc.org, with the email subject: 'Ping Pong Care Campaign'. We are looking for schools close to these areas as a priority: Middlesbrough, Liverpool, Leeds, Nottingham, Cambridge/Peterborough, Exeter, North-East London, Brighton and Birmingham. Please do get in touch though if you are outside these areas but would still like to get involved. In addition to the lesson plan, there is the potential for intergenerational extra-curricular activity involving young people and older people watching the film and/or playing ping pong together. Perhaps you could work together between the English and PE departments to host an evening of activity? We are encouraging schools to foster and build relationships with their local older community by making links with care homes, day centres, sheltered accommodation and community groups. To facilitate this, we are promoting fun intergenerational activities. By engaging schools, the Ping Pong Care Campaign empowers young people to work collaboratively with teachers and older locals, helping to host a screening or even taking part in a table tennis game with an older person. 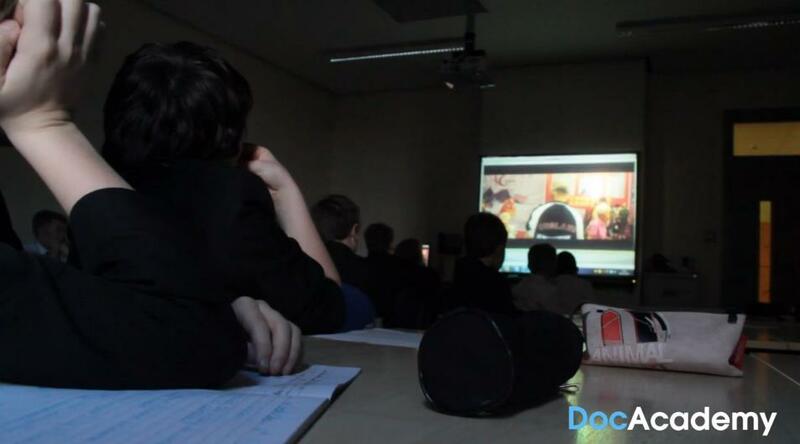 If you would like to use the lesson plan and clips in your class, host a screening in your school OR hook up your pupils with older people get in touch with us. We have a range of resources available for your school to get your involved in this national initiative. To get involved just email Gemma on gemma@britdoc.org, with the email subject: ‘Ping Pong Care Campaign’. Thanks to local photographer Steven Lawrence for this image.